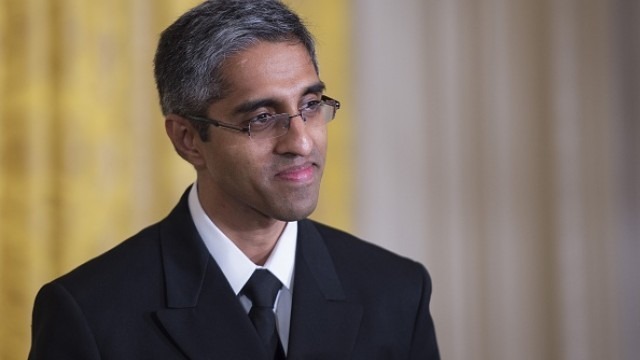 US surgeon general Vivek H Murthy was dismissed by the Trump administration, and replaced by his deputy, Rear Admiral Sylvia Trent-Adams. Surgeon General Vivek H Murthy, an Obama administration holdover, was asked to resign by the Trump administration on Friday. According to reports he has been replaced by his deputy, Rear Admiral Sylvia Trent-Adams, one of the first nurses to serve as surgeon general. A Hindustan Times report says, Trent-Adams has served in the Public Health Service Corps for more than 24 years. Adams previously served as a chief nurse officer for the deputy associate administrator for the HIV/AIDS bureau at the Department of Health and Human Services, and nurse officer in the army. “Dr. Murthy, the leader of the U.S. Public Health Service Commissioned Corps, was asked to resign from his duties as Surgeon General after assisting in a smooth transition into the new Trump Administration," the U.S. Department of Health and Human Services reportedly said in a statement. 39-year-old Murthy was the 19th surgeon general of the United States. A native of the United Kingdom and a graduate of Harvard College as well as the Yale University schools of medicine and business was known for his concerns regarding emotional well-being, said a PTI report. Murthy was nominated by former President Barack Obama in November 2013 and was confirmed for the position. He was also crowned with the position as the co-founder Visions, an HIV/AIDS educational program in India and the United States. Smimilarly , Murthy also headed Swasthya, a community health partnership in rural India. The New York Times reported that employees at HHS privately has expressed surprise at Murthy's sudden departure.